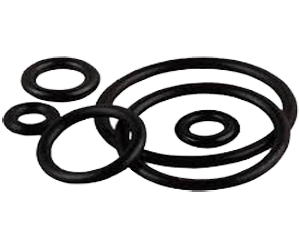 Nitrile O ring product Manufacturer, Nitrile O ring Manufacturer in Pune. An O-ring is a doughnut-shaped object, or torus. The opposite sides of an O-ring are squeezed between the walls of the cavity or "gland" into which the O-ring is installed. The resulting zero clearance within the gland provides an effective seal, blocking the flow of liquids or gases through the gland's internal passage. We are manufacturing a wide range of Nitrile O ring custom model products according to customer specification. we use only the finest quality of raw materials to create a quality of Product.